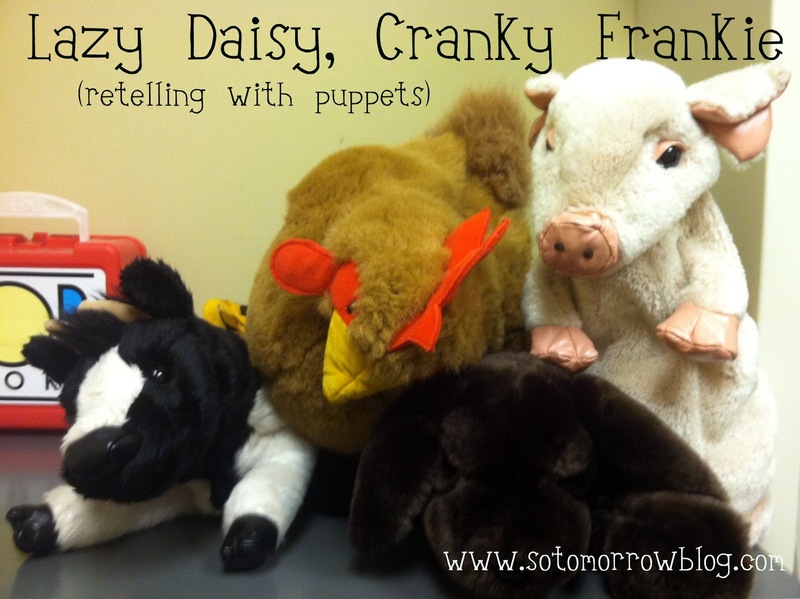 Today for Flannel Friday, I'm sharing a version of a new picture book called Lazy Daisy, Cranky Frankie. It's by Mary Ellen Jordan and Andrew Weldon (a couple from a farm in Australia, according to the book's end flap). Judging by its reviews on GoodReads, it's not been a popular one, but I found it funny. I guess everyone can't be as much of a fan of chickens in purple underwear as I am. That sounds like an excellent book for little ones!! A chicken in purple underwear?! I'll have to check it out. Your puppet show sounds like just the right touch. Thanks for sharing!